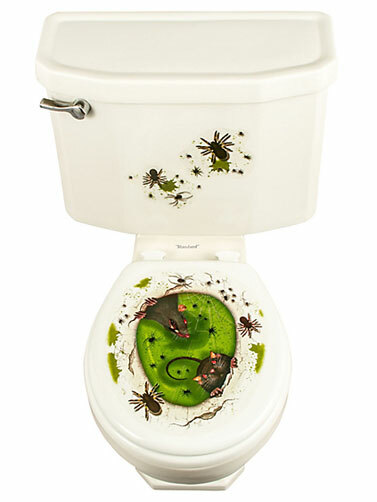 Biohazard Toilet Seat Cling makes a scary bathroom decoration for Halloween. 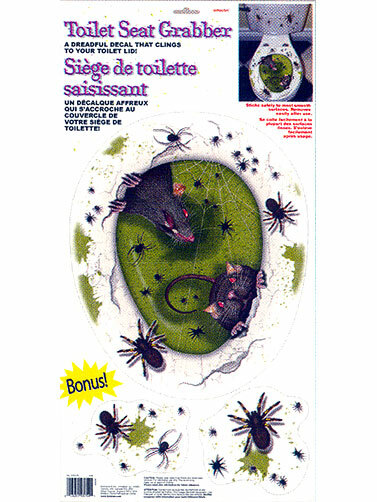 This dreadful decal for your toilet seat cover shows green chemicals and rats peering up from the bowl. Includes bonus spider decals. Not just for the toilet, decal clings to most smooth surfaces and is easily removed. Biohazard Toilet Seat Cling measures 11"H x 11"W, and the two spiders sets measure 7"W x 5.5"H.